​Did Columbus really bring syphilis to Europe? 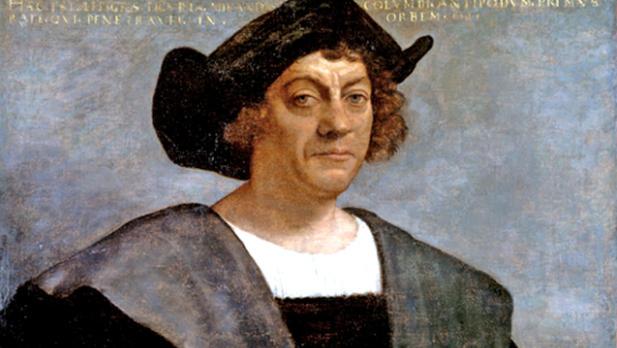 A new study is intensifying the debate over whether Christopher Columbus or his crews brought syphilis from the New World to Europe, setting the stage for hundreds of years of illness and death. Researchers in Bosnia report that an ancient skeleton of a young Croatia-area man shows signs of the disease. That would mean that the sexually transmitted infection existed there long before the era of the great explorers, they said. Two specialists questioned the study's findings. They said it's still most likely that the crews of Columbus' ships are responsible for spreading the sexually transmitted disease across Europe. "Despite the many efforts to suggest otherwise, there is no Old World evidence of syphilis prior to 1492," said Dr. Bruce Rothschild, a professor of medicine at the University of Kansas who studies the origins of diseases like syphilis. But study lead author Ivana Anteric, a researcher at Croatia's University of Split, insisted that the Columbus theory isn't proven. The origin of syphilis has been a big topic of debate in the scientific world, with three major theories emerging from the debate. The most common suggests that syphilis existed in the New World and traveled to Europe via Columbus' crew upon his return to Europe. Another theory "holds that syphilis has been present in Europe before Columbus," but it's difficult to find evidence for this because it looked similar to other diseases, Anteric said. Under this theory, the disease become more noticeable after Columbus' time. And a third theory "assumes that it existed in the Old World and New World, but four different syndromes developed," she said. Whatever the truth, syphilis had a devastating effect in Europe as it spread rapidly shortly after the Columbus voyage, a fact that contributed to the idea that sailors brought it back from the Americas. "In the beginning of the 16th century, about one-third of inhabitants of Paris had syphilis," Anteric said. "Syphilis was one of the first global diseases, so it is very important to understand where it came from and how it spread," Anteric said. Understanding its origins may also "be helpful in combating diseases today." In the new study, researchers examined 403 skeletons from Croatia, in southern Europe. The skeletons were from various time periods going back to prehistory. As a result of their research, the study authors wrote, "we believe that the Columbian theory of syphilis origin is not sustainable." Not everyone is on board with the study's findings. Rothschild said the skeleton bones actually suggest a kind of abnormal bone growth, not syphilis. "Syphilis is clearly a New World product," he added. Rob Knell, a senior lecturer at Queen Mary University of London who studies the evolution of sexually transmitted diseases, is also skeptical. "One diagnosis in a pre-Columbian skeleton tells us very little about the origins of syphilis," especially in light of molecular evidence suggesting that syphilis had its beginnings in North America, Knell said. The study was published online by The Journal of Sexual Medicine and will appear later in a print edition.